The VCS repository you want to use has to be accessible to Weblate. With publicly available repository you just need to enter correct URL (for example git://github.com/WeblateOrg/weblate.git or https://github.com/WeblateOrg/weblate.git), but for private repositories the setup might be more complex. 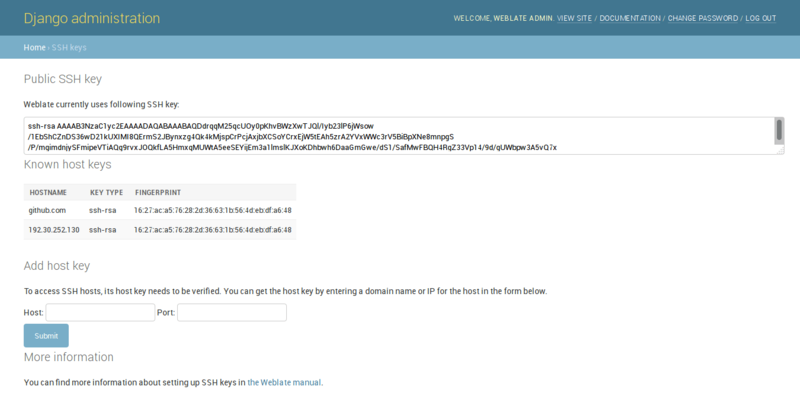 Weblate supports only subversion repositories with standard layout (branches/, tags/ and trunk/). See git-svn documentation for more information.